If you’re anything like me, then on cold or wet days you might still want to get out of the house with the kids, but prefer to go somewhere inside that’s NOT a busy soft play. Well I enjoy trying to find alternatives – the latest was a trip to Bletchley Library as I’d heard there was a good children’s area there. We were pleased with what we discovered – watch my surprising video below and then scroll down for all the information. Where is Bletchley Library and when can we visit? 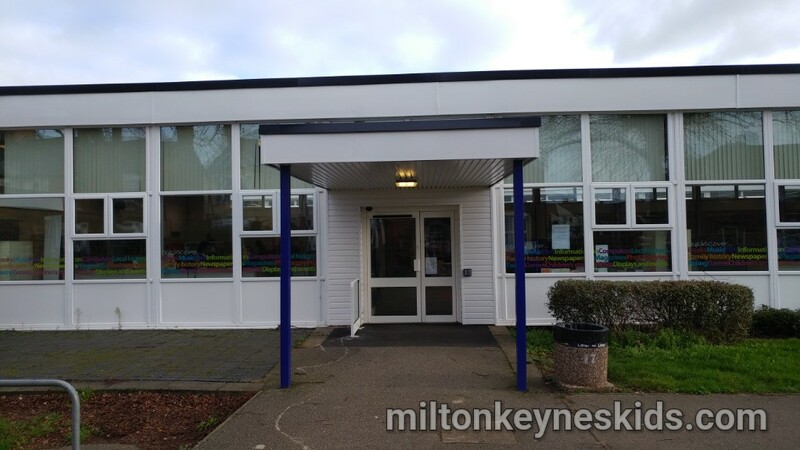 Bletchley Library is in Bletchley in Milton Keynes. The address is Westfield Road, Bletchley, Milton Keynes MK2 2RA. There is a big free public car park directly behind the building. They are closed on Sundays but open on all other days. Click here for the latest times. The library looks quite unassuming from the outside. 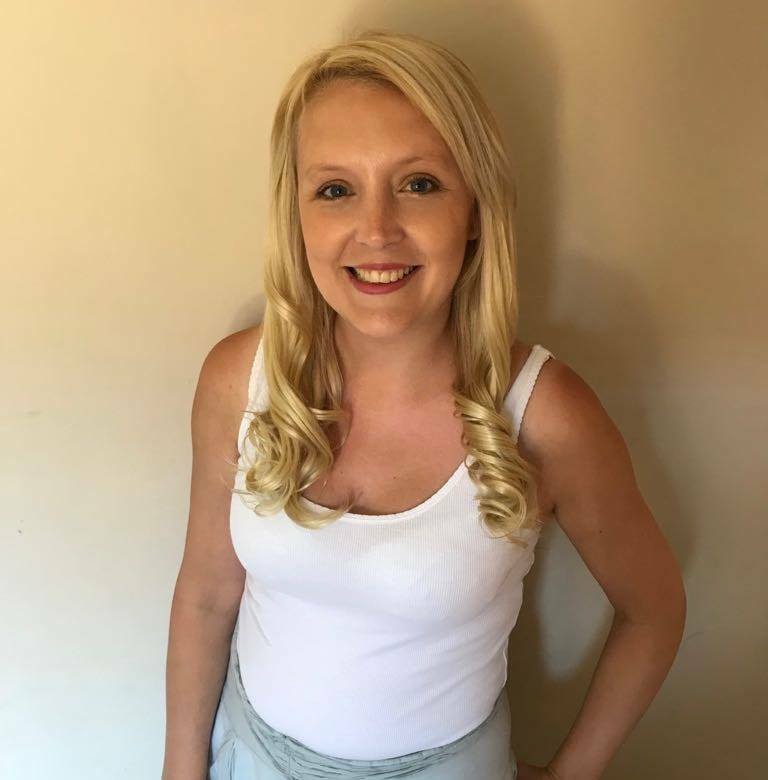 The library does not have a public loo but Laurel one of the library assistant’s who has commented on my facebook page says they do allow children to use the staff toilet which is great. They also have a special children’s hour on a Thursday morning with extra activities which costs £2. What’s in like in Bletchley Library? The library was closed for a period of time in 2017/2018 and re-opened in March 2018 after a £700,000 refurbishment. 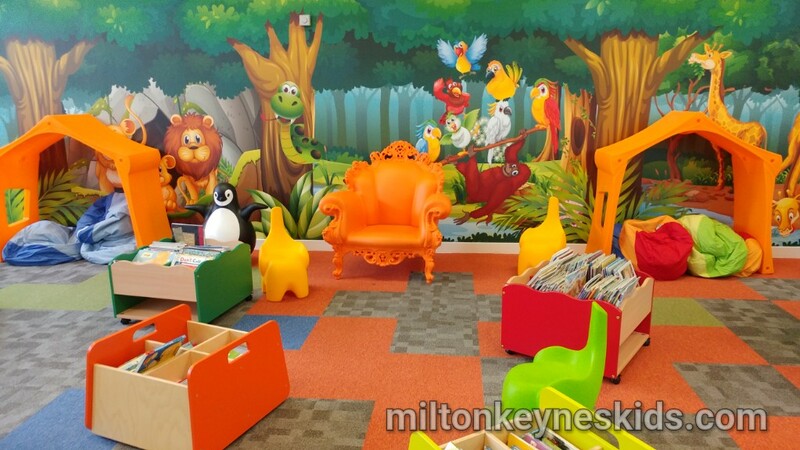 The children’s area is brightly coloured with a jungle scene on the walls together with beanbags, a throne-type chair, plastic animals, small tables and chairs and lots and lots of books. I took my 3 year old on a Monday morning in January 2019 and it was really quiet. There was only him and one other child there. He had fun exploring the area and then we sat down and read a number of books. We were there for about an hour. 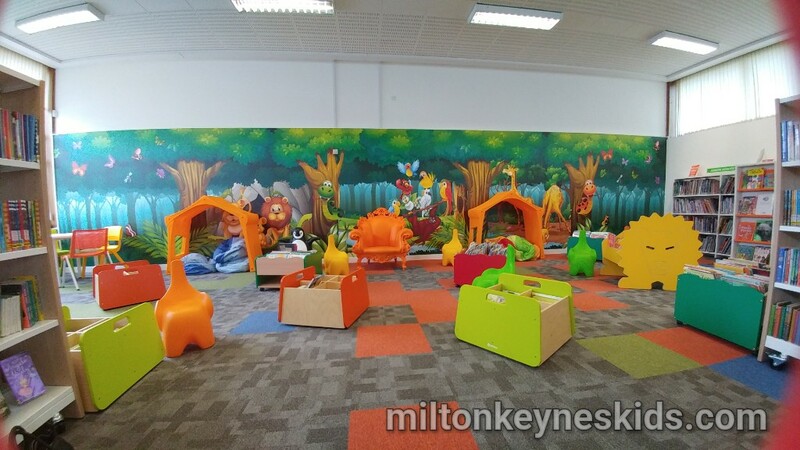 We found it was a nice, relaxing but playful environment and would go back – definitely one for younger children. If you’re looking for more cheaper indoor alternatives of places to take the kids then you may find this ultimate guide useful.